About 600 contract employees at BHP Billiton’s (ASX, NYSE: BHP) Escondida copper mine in northern Chile have been fired as a result of their involvement in demonstrations that took place between February 28 and March 3, reports Radio University of Chile (in Spanish). At the time workers obstructed roads leading to the mine and blocked the main entrance to the pit, in demand for better wages and benefits. This forced BHP, Escondida’s majority owner, to temporarily suspend construction related to the fifth phase of the mine expansion project. According to union leaders the fired employees, who worked mostly in construction, won’t receive any kind of compensation because of the cause of their dismissal. Escondida's union shocked the copper market in 2011 by staging a two-week work stoppage, sending the mine's output tumbling. 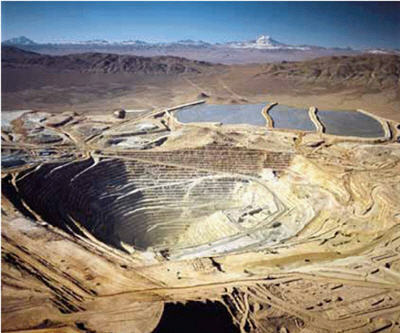 The mine produced about 1.076 million tonnes of copper last year.